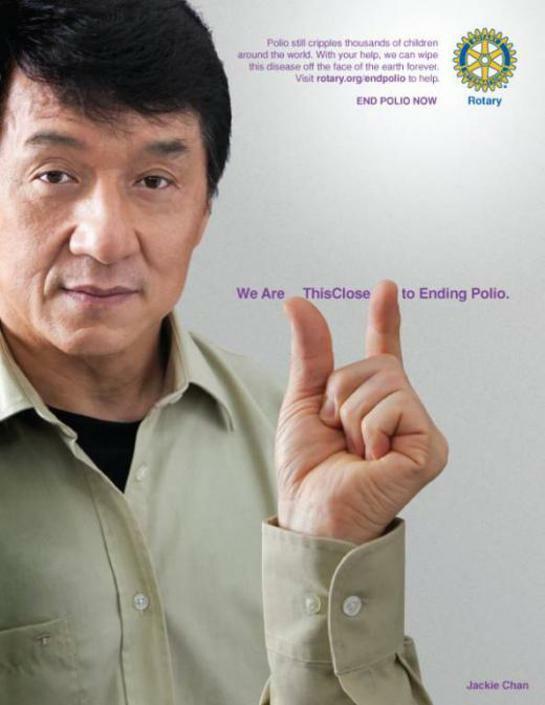 Jackie Chan is among a group of stars – including Desmond Tutu, Bill Gates, Ted Turner, Ziggy Marley, violinist Itzhak Perlman, Grammy Award winner Angelique Kidjo, Queen Noor of Jordan, golf great Jack Nicklaus, and environmentalist Dr. Jane Goodall – who have joined Rotary International's This Close campaign to eradicate polio. 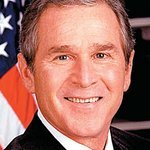 “A few months ago I was approached by the Rotary to take part in their campaign to spread awareness about a crippling disease called polio,” said Jackie on his website. "I was amazed to find out that it costs just US 60 cents for a dose of the medicine that will eliminate any chance of a child contracting polio! Sixty cents! That’s less than the cost of a pack of gum or a bottle of water. To find out how you can take part in this campaign, and to see the other celebrity PSAs, click here.